LET’S BE HONEST. WE LIKE SEEING OUR NAME IN PRINT. Looks like we are starting the year off right. Anson-Stoner has once again been honored by PRINT Magazine in its prestigious annual design competition. The 2017 PRINT Regional Design Awards has selected two Anson-Stoner entries for inclusion, a poster campaign created for Florida Virtual School and an integrated campaign for the Florida Surf Film Festival. 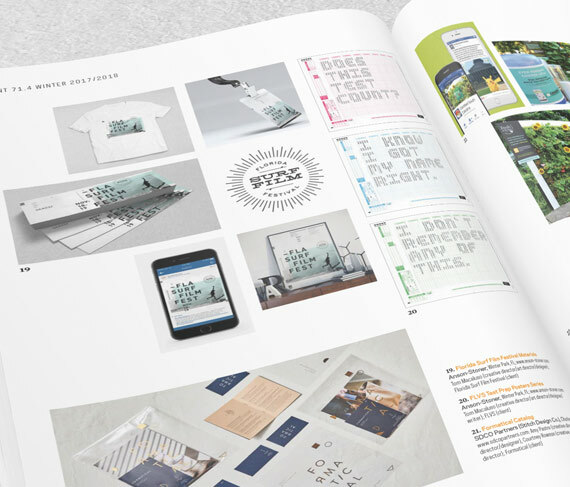 For over 35 years, PRINT’s RDA has been this country’s most respected design competition and its published annual is considered a must-read throughout the industry. This year’s Regional Design Annual also holds a special place in our hearts and on our shelves as it marks the final time that the publication will be produced with paper and ink. The issue is out now. As you might expect, we have grabbed a few copies for ourselves.